This mani makes me think of Easter and those foil wrapped chocolate shaped eggs you can buy. All day long I was thinking about chocolate. I picked this polish up after seeing if posted in a FB group. I just cannot get over how stunning this polish is. 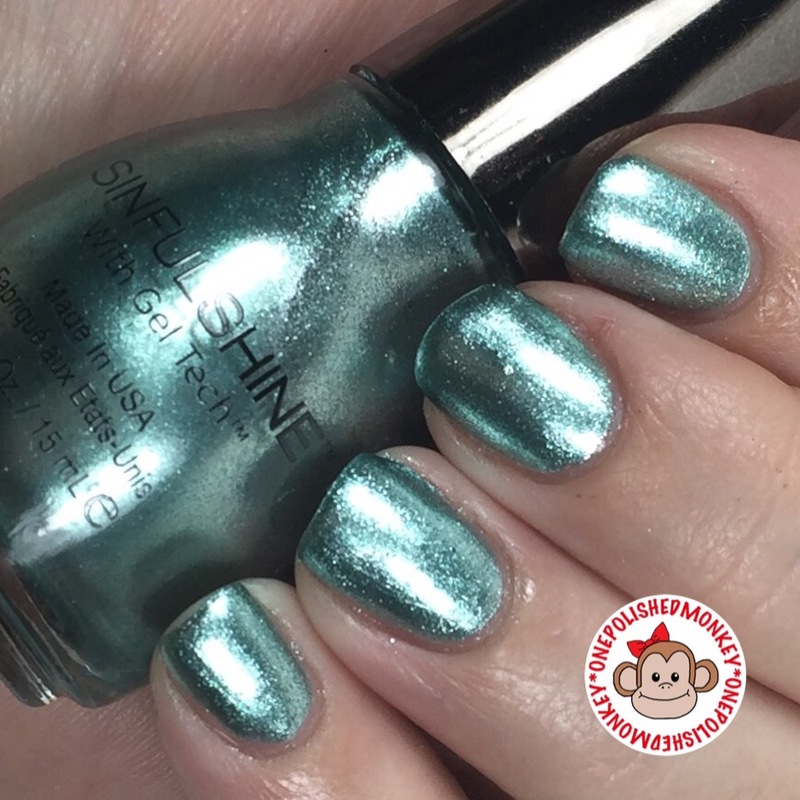 Sinful Shine Smoke & Mirrors is a gorgeous mint metallic foil that is opaque in two coats and applies like butter. Because of the foil finish clean up can get a little messy. I suggest using multiple clean up brushes if you are messy when applying like I can be. One brush just made the shimmer spread. 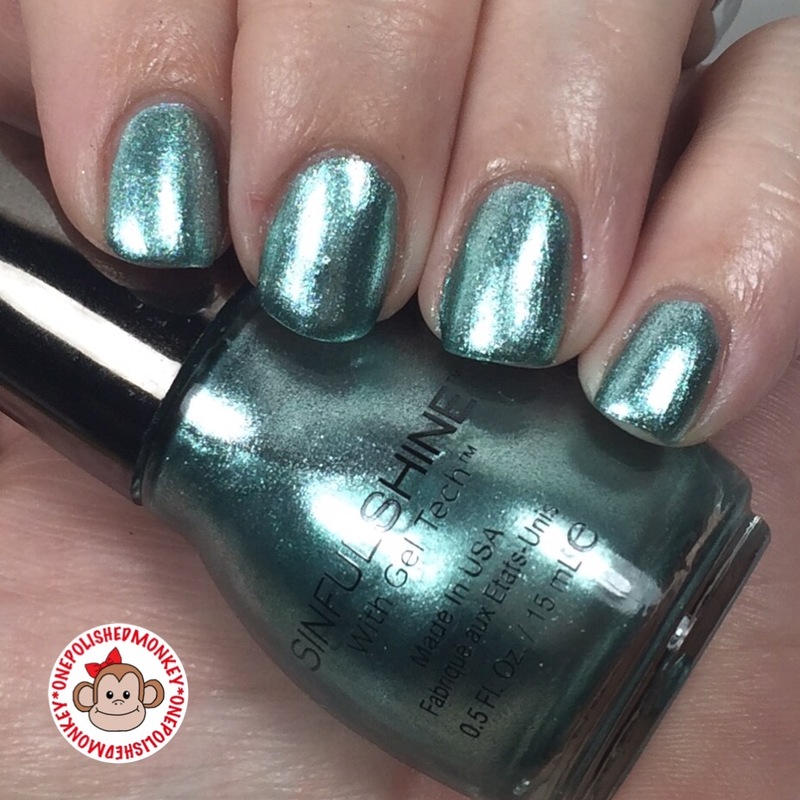 Sinful Shine is apart of the Through Shine Reflection collection. 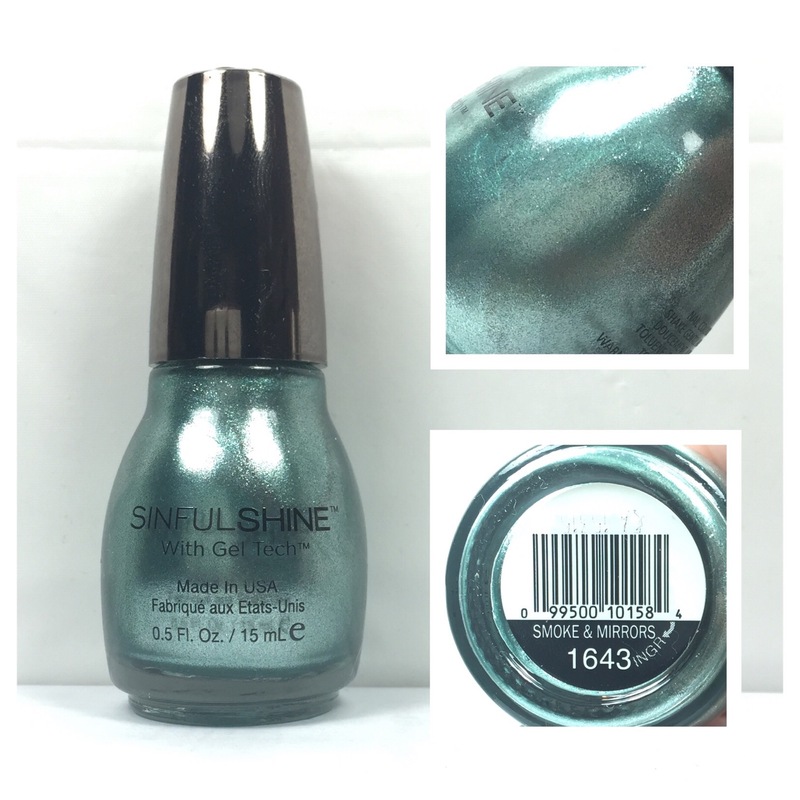 I’m not up on my Sinful Shine like I am with Sinful Colors but I believe this is a limited edition polish. If it is then I highly suggest picking it up before its gone.